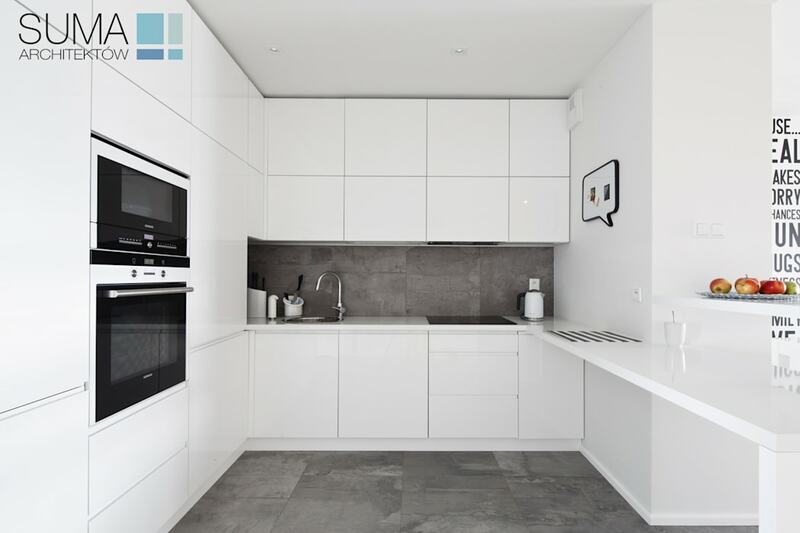 MODERN ONE is minimalistic apartment in Krakow. This bright interior contents diferent shades of white connected with natural oak floor. Whole interior filled with colorful details.